First of all, the stability sensor system can detect when the vehicle has decreased handling capacity and will reduce power to the engine. It can also help the automatic brake to kick in to prevent a crash. At Smolich Volvo Cars, we're excited to show off this luxury sedan. 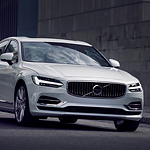 The Volvo S90 uses a lot of high-quality materials. There's plenty of spacious seating for five and lots of features that aren't found in other sedans of its class. There are a lot of aspects of a vehicle that contribute to its overall level of success. Volvo has been manufacturing high-quality vehicles for many years now. Each of these models containing the latest and greatest vehicle features on the market. The new 2019 Volvo S60 comes with an interior design package that puts other vehicles to shame. With one of the best infotainment system designs on the market, you'll have no problem controlling all aspects of your vehicle thanks to a unique touchscreen design that has an anti-glare coating and can be used with fingered gloves. When you live in a beautiful, but rugged climate such as Bend, OR, you need a vehicle that can keep up with you and keep you as safe as possible on the road. No matter what conditions Mother Nature throws at you—sleet, hail, icy rain, or snow—be prepared for the drive with an all-wheel drive vehicle. Are you an avid fan of the great outdoors? Do you spend winters skiing, summers hiking, autumns biking and springs running? If so, then we’d like to introduce you to your perfect automotive match: the Volvo V60 Cross Country. Known for safety, the Volvo brand also makes cars and SUVS that are a perfect fit for adventurous types. This vehicle, for instance, is the perfect blend of rugged durability, comfort and style. Enjoy the long lines and well-appointed interior in this model. Is Your Volvo Ready for Winter Driving? It’s hard to believe that Thanksgiving is over already. Before you know it, winter rain, snow and sleet will be falling. Will your Volvo be ready? It will if you prepare by bringing it in for winter service here at Smolich Volvo. Our service center technicians will be happy to prepare it for the cold-weather and dicey driving ahead. Enjoy the convenience of scheduling service online and the peace of mind that comes from having highly-trained Volvo professionals work on your car or SUV. Sometimes today in the U.S., it appears that flashiness is celebrated more than reliability and strength. Take the Volvo XC70 for instance. This car may be understated, but that’s because Volvo drivers know quality when they see it. You don’t need a giant billboard screaming out the unique attributes of this practical and roomy car for you to understand what sets it apart. Enjoy the lovely, long lines of this car outside, and an abundance of roominess inside. 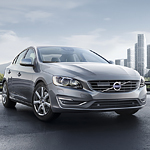 When it comes to safety, Volvo is one of the leaders in the auto industry. Whether you love the colder temperature and snow that winter brings, or wish that you could hibernate until spring, cold weather is on its way. Are you ready to greet Old Man Winter again? You will be once you purchase the all-new 2017 Volvo S90. Beautifully designed, this car is the epitome of class and refined luxury. It won’t be long before we all change our calendars and prepare for an entirely new year. What adventures do you hope to undertake in 2017? Whether you’re a fan of outdoor adventure or urban exploration, we know you’ll enjoy yourself much more in the all-new 2017 Volvo XC60. Plus, it’s the perfect vehicle for winter travel, with all-wheel drive.